Basement Unfinished? Why have a basement if it's not usable? Think of the additional living space a finished basement would offer for your family. 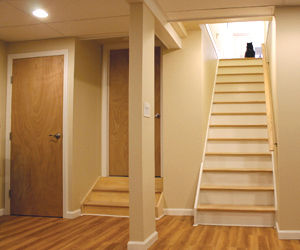 Wolf's Construction will finish your basement and have you enjoying your additional space in no time. 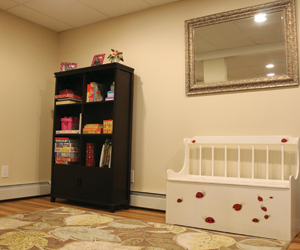 We will create your new playroom, den area, laundry room, living room or whatever you need. We use the ideal materials that are made for moist areas like basements. Rest assured, we do all the work ourselves and never use subcontractors. 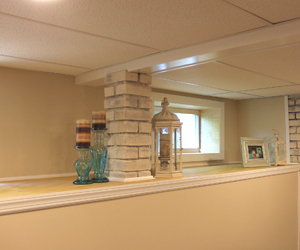 Which shows in our finished custom basement renovations. 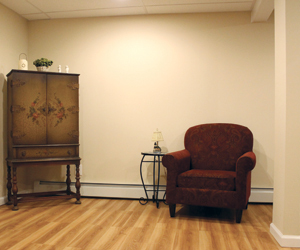 Call Wolf's Construction at 631-988-7661 to get your Free Basement Remodel Basement Renovation Estimate. Basement was emptied and needed to be configured, designed and built. 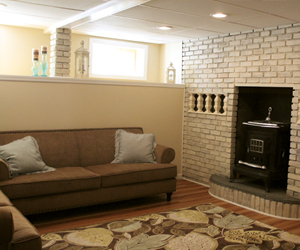 The homeowner wanted to utilize their basement space by creating a family room, a playroom and a lounge area. An entrance to the laundry room was created and stairs were built to entryway. 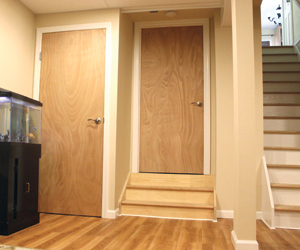 The floor above needed to be cut and stairs to the basement were installed almost doubling their living space.